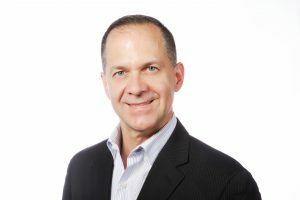 Michael Zeglinski, RPh, serves as Senior Vice President, Specialty Pharmacy, at OptumRx, the nation’s third-largest PBM, and part of Optum, a leading information and technology-enabled health services business. The parent company, UnitedHealth Group, is a diversified health and well-being company which provides services to more than 85 million people worldwide and includes UnitedHealthcare, the nation’s leading health care provider. Bringing more than 25 years of experience in the pharmacy distribution and specialty pharmaceutical business, including home infusion therapies, Zeglinski leads the BriovaRx division, OptumRx’s Specialty Pharmacy. BriovaRx is a full-service, innovative, patient-centric specialty pharmacy that services a diverse customer base, from patients and providers to payers and pharmaceutical manufacturers. Zeglinski is responsible for leading the division’s strategy, sales efforts, product development, clinical and nursing programs, analytics/outcomes, and operations of 15 specialty pharmacies nationwide. Prior to joining Catamaran in 2012 as the Vice President of Pharmacy Operations, Zeglinski held roles at several other specialty pharmacy organizations, including Quantum Health Resources, Olsten/Gentiva Health Services, Accredo Therepeutics, and CVS Caremark. He has developed and implemented numerous pharmacy operating systems and disease-specific care management programs, which focus on increasing patients’ specialty pharmaceutical adherence rates, documenting cost saving interventions and improving quality of life for patients/members. He is also Green Belt certified in Lean Six Sigma processes focusing on the health care industry. Zeglinski holds a bachelor’s degree in pharmacy from Duquesne University in Pittsburgh, PA, and pursued his Masters of Fine Arts in Music from Carnegie Mellon University. He is a member of the Academy of Managed Care Pharmacy and the American Pharmacists Association and is currently licensed as a pharmacist in 13 states.